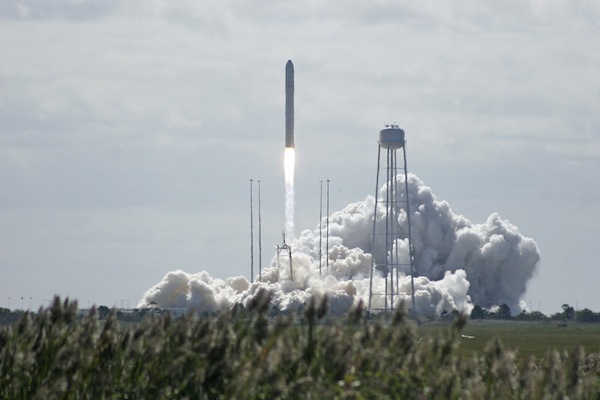 With the exception of one issue with the fuel system that caused a slight delay in the launch time Orbital successfully launched there Antares Rocket with the Cygnus spacecraft. The Cygnus is currently on route to the International Space Station and once a number of demonstration steps have been completed successfully is due to berth with the station tomorrow. Once the vehicle has been unloaded the ISS crew will load items that are no longer needed, after about 30 days at the station it will unberth. Unlike the Dragon spacecraft the Cygnus cannot return back to earth but instead burns up during re-entry. Latest reports show the the spacecraft has successfully fired it’s main engine’s to alter it’s course to the station, a number of the tests are performed close to the station to verify that the approach and capture can be aborted if needed. Once all the tests are passed NASA and Orbital will have a final go-no-go poll before the craft enters the keep out zone around the station so that it can be captured by the crew using the station arm. The first static fire test of the new Falcon 9 v1.1 showed up some anomalies, due to this SpaceX attempted another test this week which was successful. However due to the delay’s caused by needing the second test launch of the new version has been delayed until 9/29 to accommodate ICBM tests at the launch site. A secure communications satellite was launched from the cape this week by an Atlas 5 for the U.S. Air Force. This was the first of two large launches on the same day on the U.S. East Coast, the second was the Orbital launch of Cygnus seven hours later. The Soyuz TMA-10M vehicle was integrated with it’s Launcher this week in preparations for the launch of Flight Engineer Michael Hopkins of NASA, Soyuz Commander Oleg Kotov and Flight Engineer Sergey Ryazanskiy, both with Russia’s Federal Space Agency on 9/26. The next major milestone in this preparations will be roll out to the launch pad expected on Monday 9/23. Following a month of attempts to re-establish contact with the now silent spacecraft NASA to announced that the mission is over. Engineer’s suspect that the vehicle lost stabilization control and was no longer pointing it’s Solar Array’s at the sun causing the battery’s to run out. The vehicle was tremendous successful having completed all of it’s primary mission objects as well as returning approximately 500,000 images of different space objects. This week a scientist if Britain claimed to have evidence of Alien Life taken from sample obtained from the upper atmosphere. The story got quite a lot of traction on some new media however was very quickly debunked. The same scientist has made similar claims in the past and each time has proven to be wrong because there has never been scientific evidence to back up his claims. Hope’s of finding life on Mars faded a little this week when a study by the Mars Curiosity Rover detected only trace amounts of Methane in the atmosphere. Of course if Mars One or other’s get there way this will change in the next couple of decades as human’s will visit the planet and bring with them microbes and other forms of life. 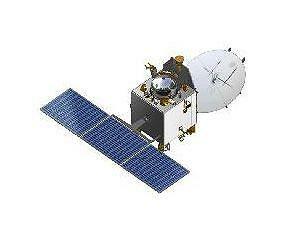 The week India unveiled it’s first Mars Spacecraft expected to launch later in late October or early November. The Indian Space Research Organisation (ISRO) announced that the vehicle will have five scientific instruments on-board designed to conduct various experiments while orbiting the planet. The vehicle is expected to arrive at the planet in September 2014 following a 9 month cruise. This week Boeing announced that it has completed a series of tests of the thrusters that will be used on the CST-100 Spacecraft when in orbit. In combination with Aerojet Rocketdyne the thruster manufacturer the tests assessed how the thrusters performed in different scenarios as would be expected in space operations. This is a significant step forward in the design of the spacecraft which is designed to talk crew into LEO. The Chinese Space Agency announced that their first Space Station Tiangong was entering it’s final month’s of operation before a fiery re-entry into earth’s atmosphere. Tiangong hosted two different crews during it’s lifetime and brought the Chinese one step closer to having a permanent presence in space. While not related to Space I wanted to share the news from Elon Musk that Tesla are currently looking for Engineer’s to work on autonomous driving option for the Tesla Model S car. According to Elon they plan to use 360 deg flush mounted camera’s and radar which will require lost of image processing capabilities. Anyone interested should email autopilot@teslamotors.com, the team will report directly to Elon.